Online backup service provider Backblaze today announced a new service offering: as much storage as you want for half a cent per gigabyte per month. Backblaze's new B2 Cloud Storage, is a raw cloud storage service, meaning data is not encrypted or manipulated in any way. Users can encrypt their own files prior to storing them on the service for added security. Comparison chart of cloud storage services. "Once you start storing more data, you pay a flat half penny for anyone. 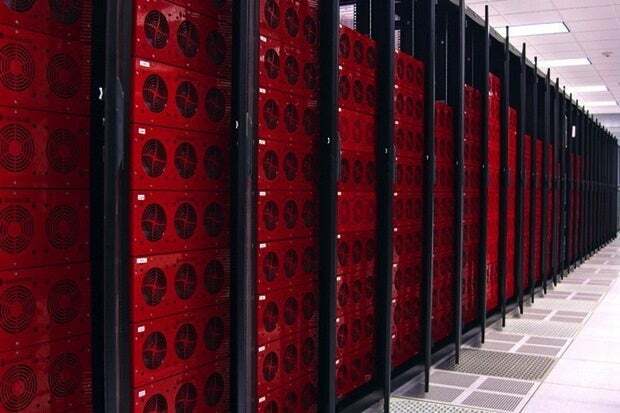 If you store 11 GB, that 1GB on top of the 10GB is a half a penny," said Gleb Budman, CEO of Backblaze. "If you store 50 petabytes with us, it's still half a penny per gigabyte." Backblaze's price surpasses that of any of the major cloud storage providers today, including Amazon S3, Google Drive, Microsoft Azure and Dropbox. Dropbox, for example, offers the first 2GB for free and charges $9.99 a month for 1,000 gigabytes or one penny a gigabyte. Google Drive, which offers users 15GB for free, charges $1.99 for 100GB and $9.99 for 1TB (1,000GB ), and all the way up to $299.99 for 30TB. Backblaze's B2 Cloud Storage Service's pricing model. The new B2 Cloud Storage service pricing even surpasses in price online archive storage, which is the least expensive but comes with the caveat that retrieving your data may take hours. For example, Amazon's Glacier service charges $.007 per gigabyte, but stipulates there may be up to a four-hour delay in accessing archived data. Backblaze's B2 Cloud Storage servcie offers a reports screen to show usage. "We'll offer access via a web GUI. Anyone can access it via our web interface. Then we offer a command line interface for IT people and if you're a developer, there's an API for the service," Budman said. "But it'll be the lowest cost cloud storage on the planet." 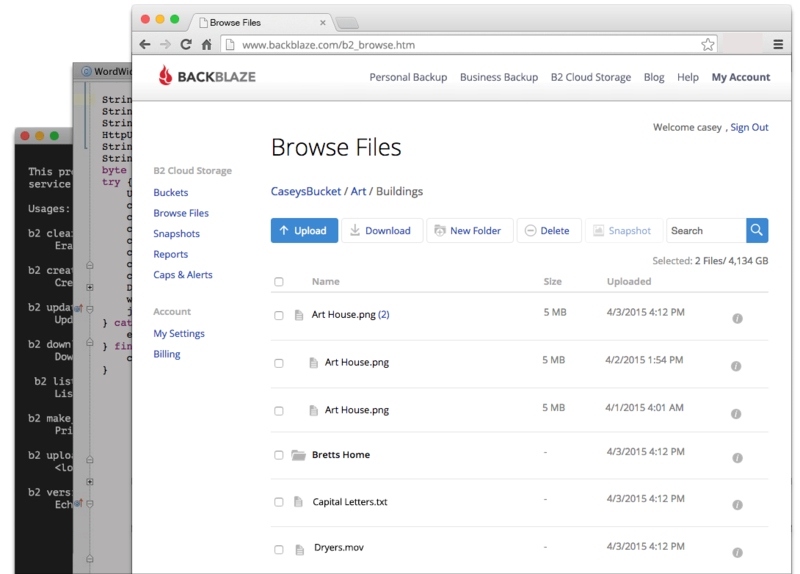 Backblaze, which was founded in 2007, has run a backup service since that time. The company's backup services come in two flavors: The personal backup plan for individuals, for $5 per month per computer; and a business backup package for $50 per computer per year. The company has also periodically released its own studies on the reliability of hard drives it purchases to fill its data center. The studies were candid about which drives failed the most. 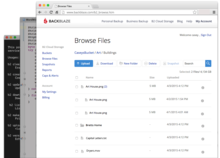 Backblaze's .B2 Cloud Storage service reports screen.